I rarely ever drank coffee, even as an adult. Keep reading to find out how to make the easiest, most delicious and healthy bulletproof coffee. The only exception was driving by a Starbucks on a wintry day and wanting something hot to warm my frozen self. Often I would bypass the coffee and go for a hot chocolate instead. The salted caramel was addicting! I tasted those fall and winter flavors a few years ago and I began looking forward to a peppermint or eggnog latte. Even then, it was just a treat during those cold months. Tea has always been the hot beverage of choice in my home. 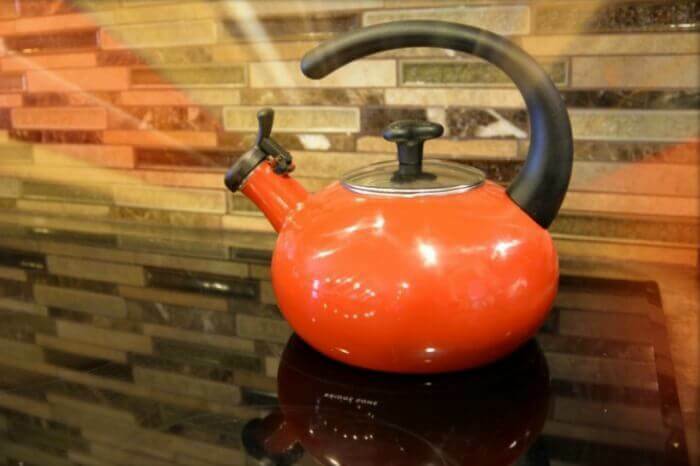 There is a red teapot that lives on top of our stove always ready to blow its whistle. My youngest daughter affectionately calls it the whistle pig! All the kids know that if they come to me with an ailment, I start them with water and then tea. With so many flavors and health benefits, tea has a prominent place in our home. It wasn’t until earlier this year that I bought my first coffeemaker. The reason may surprise you. 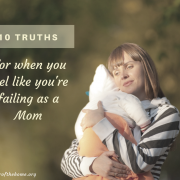 It wasn’t for my husband … he was never a coffee drinker either. It wasn’t even for our multitude of guests that frequently flow through our home, although it probably should have been as now they are very appreciative of our addition! The decision actually came when I was struggling to stay regular. Not regular at the gym. That other regular. My bowels. My husband and I had been traveling a lot and I hate to, you know… GO in public bathrooms. If I drank a tea to help my symptoms, then I had to stay near a bathroom and I would cramp the rest of the day. If I didn’t drink the tea, I was still pretty uncomfortable. It wasn’t working for me. I was making sure to eat healthy meals and snacks, drinking lots of water, and taking probiotics. Everything I could do to be healthy. I was constantly researching my issue and trying different tactics. Nothing really worked long term. 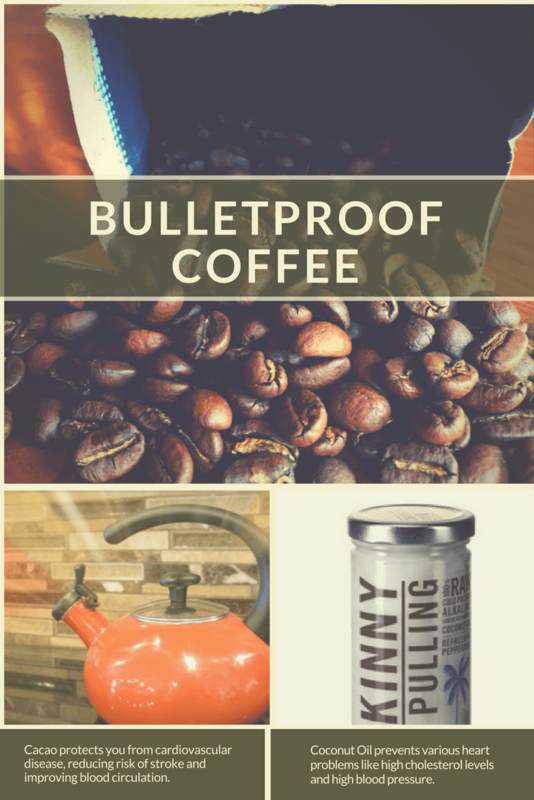 When I came across the bulletproof coffee phenomenon I was immediately intrigued. Coffee plus coconut oil, shazam! 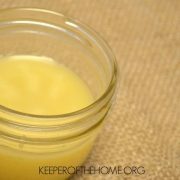 I had tried just a spoonful of coconut oil many times before and knew that by itself it worked well, and quickly if I took too much. It was always extremely difficult for me to swallow, though. 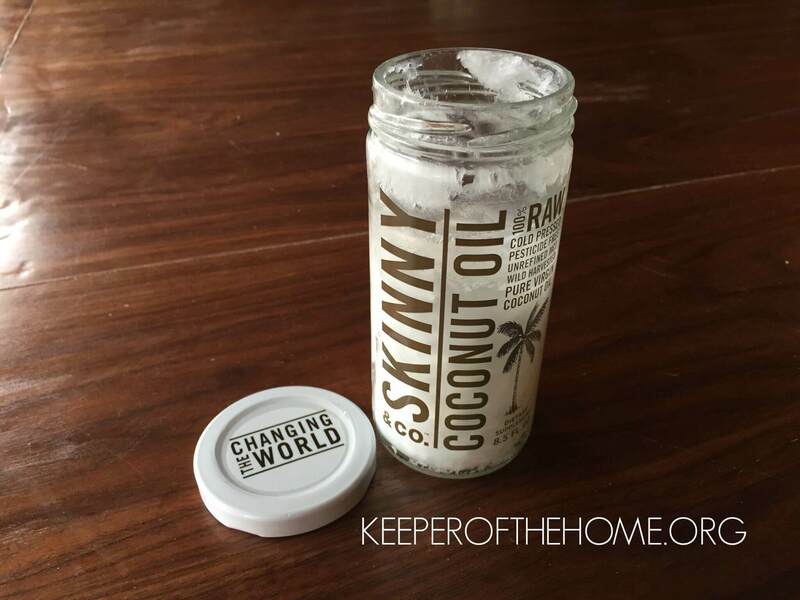 As much as I love coconut oil, I really struggled with it by itself. 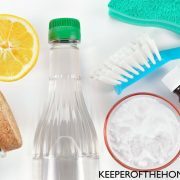 I cook with it every chance I get and even use it for skin care, but the trick was to get that big spoonful at once if I really wanted it to be effective. I was hopeful this bulletproof coffee was going to do the trick. And it did! Now don’t get me wrong, this is no fix all, cure all. It’s just a helping hand while I dig down to the root of my real issue. Likely many of you can relate. Thyroid problems seem at an all-time high, plus I have ways to go to refill my depleted vitamin D stores. For months I have continued to be trouble free even when traveling. But for me, as I began this journey with the bulletproof coffee, I discovered more than regular bowels. Health benefits of coffee go much further than giving you that boost of energy we all want in the morning. Coffee itself has been shown to have properties that boost your brain power and mood. 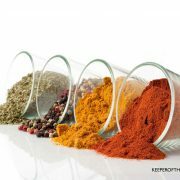 It’s full of antioxidants and protects against diseases like Parkinson’s, type 2 diabetes and skin cancer. 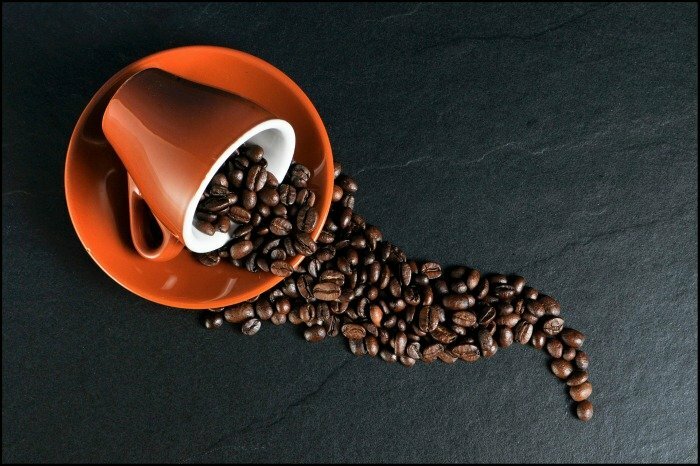 Be aware that non-organic coffee beans are washed in ammonia and bleaching chemicals. How’s that for adding toxins to your morning cup? Organic coffee is also higher in antioxidants. And if you can go one step further…maybe when it’s on sale…buy Fair Trade organic coffee and know that you are helping a farmer ensure stability and healthy living conditions in developing countries. For best results mix with freshly brewed coffee in a blender on medium or high for 30 seconds or until you get that frothy layer on top! Play around with these ingredients to fit to your liking. My recipe is so delicious I never go to Starbucks anymore. 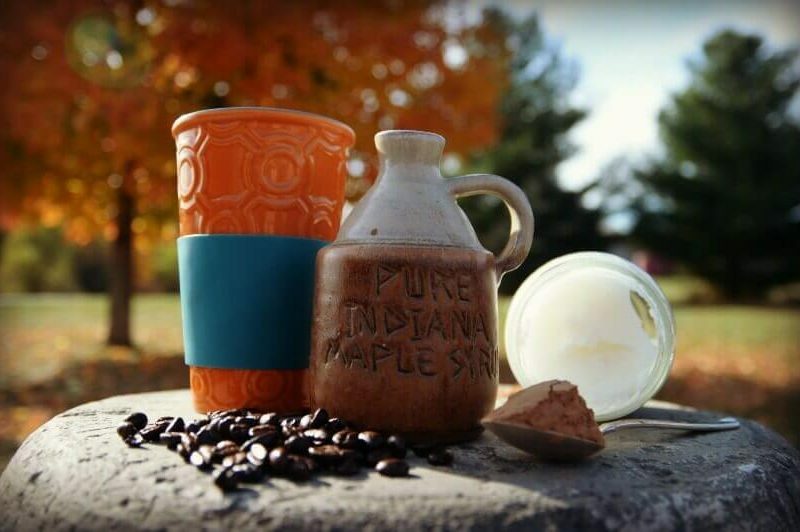 Why choose all that sugar when you could have an incredible addition to your health in your coffee mug? This coffee is so good even my husband is now hooked! Coconut oil has a natural, gentle laxative effect which made a huge impact in my daily life, but the benefits to adding coconut oil to your coffee don’t stop there! It helps in healthy growth of hair and gives your hair a shiny quality with that smooth, silky feel we all want. I use it topically as well for a leave in conditioner or detangler. I’ve heard that it also prevents lice! It contains about 50 percent lauric acid, which helps in actively preventing various heart problems like high cholesterol levels and high blood pressure. The saturated fats present in coconut oil are not harmful as you commonly find in vegetable oils. Weight loss is thought to be promoted as coconut oil increases the body’s metabolic rate. It works by helping to remove stress on the pancreas, burning more energy to help people lose the excess weight. Cacao is chocolate in the rawest form. I could put chocolate in everything! 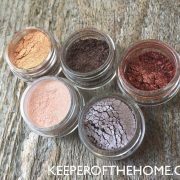 But, not to be confused with cocoa powder which is processed and usually found with added sugars. 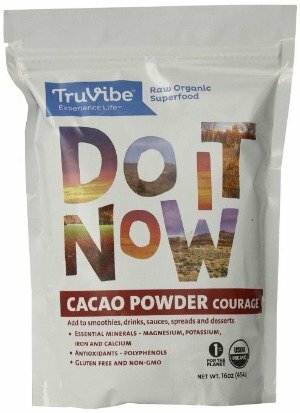 I put a small spoonful of cacao powder in my coffee not just for that chocolatey taste, but for the blast of antioxidants. Cacao is packed with antioxidants, possibly more than any other food, protecting you from cardiovascular disease, reducing risk of stroke and improving blood circulation. It contains nutrients like iron, magnesium and zinc plus healthy fats, fiber and protein. Did you know all that existed in our beloved chocolate? It really is good for you! Feeling down? Cacao may provide antidepressant benefits. Containing the substance phenethylamine, which is a neurotransmitter found in the brain, it is thought to act as a mood elevator and natural antidepressant. Pair this with the already mood enhancing, brain-boosting power of coffee to start your day with a bang. Raw butter… how I love you… let me count the ways. 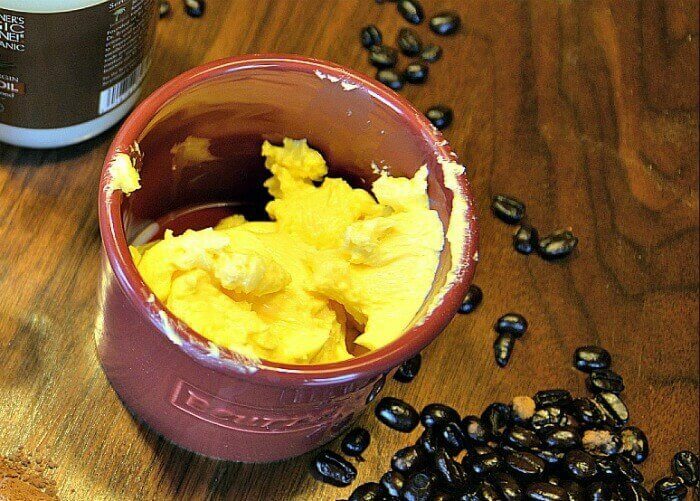 I love how raw butter gives coffee a rich flavor. It’s also rich in vitamins as well, including Vitamin A in its most easily absorbable form necessary for thyroid and adrenal health. 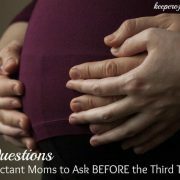 A big concern for women lately, myself included, are the often misunderstood thyroid problems. Other vitamins and benefits include D,K and E, omega-3 and image-6 fats, another boost for brain function, endocrine system, nervous system and intestinal tract. Worried about the cholesterol? Butter contains lecithin which assists in the assimilation and metabolization of cholesterol and other fats. I recently had my own cholesterol checked and after months of buttery coffee every day, my cholesterol looks great. If you are worried about your cholesterol please see your physician and check it regularly. An unexpected benefit of butter I found was a boost to oral health. Butter can help prevent tooth decay, plaque buildup and cavity formation. I wonder if it keeps the coffee stains away? 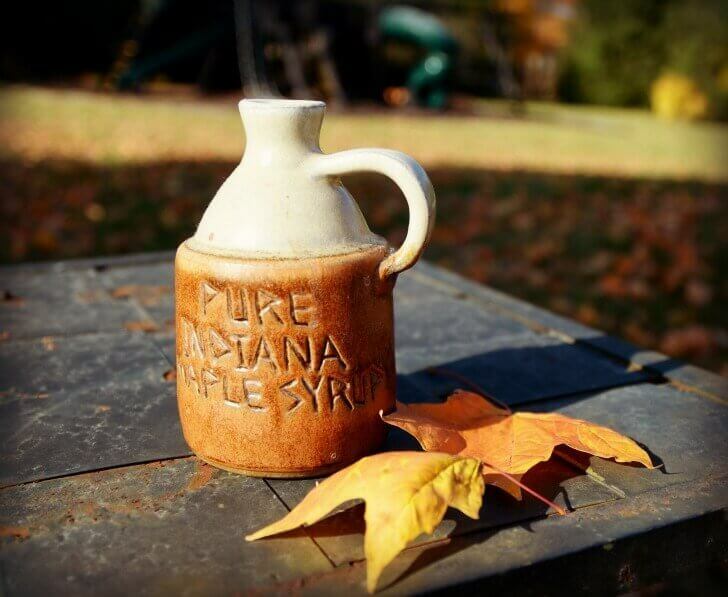 Pure maple syrup might be my favorite ingredient. If you are like me and need to have a sweetener in your coffee, try one that is packed with nutrition and healing benefits instead of negative effects like bleached white sugars. This sweetener has sweet benefits. I add a double dose to my husband’s coffee, not just because he likes it sweet, but because its really good for the reproductive system, especially the prostate gland. Real, pure maple has minerals your body needs like zinc and manganese. These minerals and antioxidants enhance liver function, boost the immune system and fight inflammatory disease like arthritis and heart disease. I’m so lucky to have a family-run maple tree farm nearby where my family has been able to view the process of distilling plus pick up maple sugar and maple candies. YUM!! Why choose any other sweetener for your coffee? I feel good knowing that my sweetener isn’t just sweet. Coffee isn’t for everyone. There are many articles stating that coffee has some negative side effects that you should be aware of. Thankfully, we are all different and I am able to enjoy the benefits of coffee. Listen to your body to decide if it’s good for you. Remember these are my opinions based on my own research and trial and error! As always we encourage you to read, read, read and talk to your medical professional if you have any health concerns. Has bulletproof coffee had any similar effects on you? 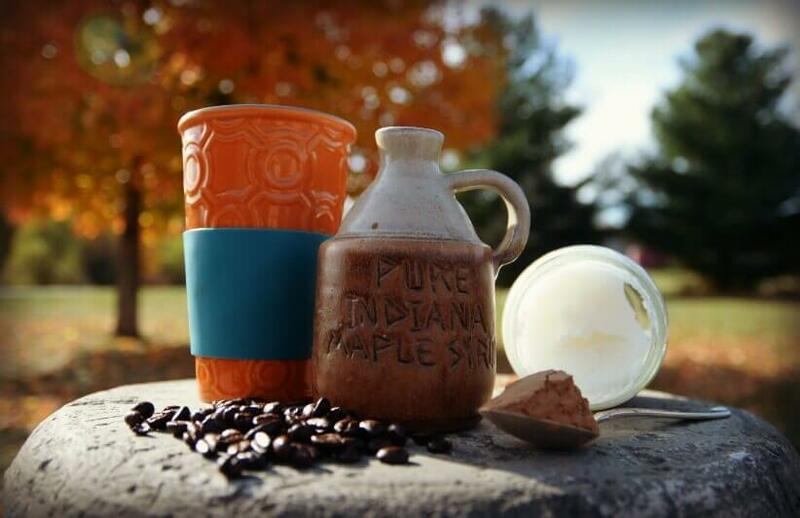 What fall or holiday flavors do you add to your morning cup of joe? 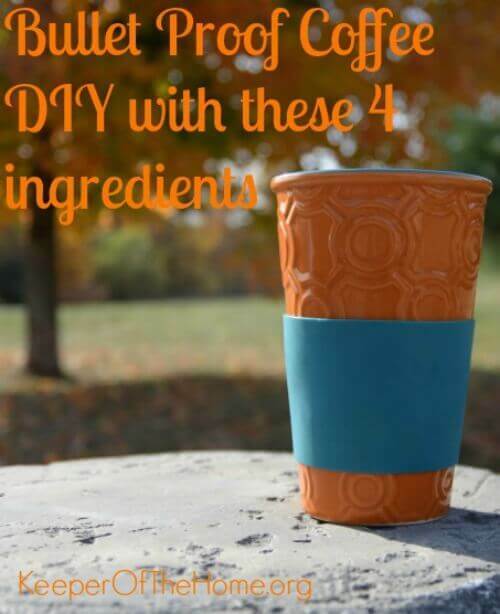 I’ve just learned about bulletproof coffee, and love this DIY! Thanks for posting such great info. This is NOT a keto recipe for those on keto looking for one. First of all, never ever eat syrup or honey…it’s loaded with sugars! Be careful what you read!